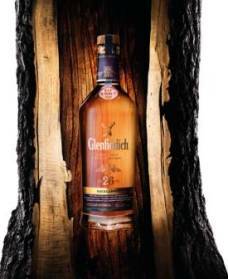 Glenfiddich launched its latest expression, Excellence 26 Year Old at Elizabeth Bay House in Sydney on Tuesday night. Excellence 26 Year Old is matured exclusively in American Oak Bourbon casks for a minimum of 26 years. The oak casks, previously used to mature American whiskies and specially imported to the Dufftown distillery, impart a unique and distinct flavour. Presented in an elegant glass bottle with delicate gold lettering, Glenfiddich Excellence 26 Year Old is finished with an oak stopper reminiscent of the Bourbon casks in which it matures. It is packaged in an opulent purple presentation box, with an intricate embossed design inspired by the patterns made on wood cuts from the American deep south. Available from next week in luxury whisky retail outlets and premium establishments, Glenfiddich Excellence 26 Year Old has a recommended retail price of $590.